Twelve-year-old Alyssa McCarthy is sick of her uncle's unfair rules and longs for a better life. After discovering the existence of magic, she finds out about a dark wizard hunting her down. An unforgettable storm occurs in Alyssa's ordinary New Jersey town before the sorcerer kidnaps her to the Fiji Islands. On the enchanted island of Yanowic, Alyssa learns that she is unable to get out of the country due to a giant shield. She must defeat some dangerous creatures and the evil wizard in order to leave. But with sorcerers and magical technology getting in her way, can Alyssa succeed? Described by readers as "complex", "intriguing", "imaginative", "gripping”, "Harry Potter-like". When a Sound dies in our world, his Echo is executed in Echoland. And there are those who reverse the order of things, to achieve their wicked ends. They hunt the Sound of the Echo they want to kill. Then the first death leads to the second as surely as lightning leads to thunder. Will tries to escape the frightening answer. But dangers sweep him into that magical, see-through land. And there, in a fortress filled with castaway children, a two-hundred-year-old riddle lies buried. 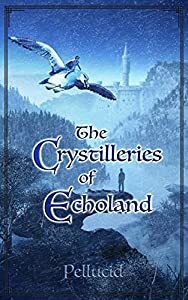 The most important boy in Echoland will help Will solve it, with a handful of other kids. For the fate of Echoland, and of the Sound realm, depends on the answer. At the foot of the greatest Crystillery of all. IN A SEE-THROUGH LAND our reflections live. They call us Sound; they are our Echoes—and they think that they must die when we do. Is this why children are disappearing from the Sound realm? Because someone wants their Echo to die? Twelve-year-old Will Cleary tries to escape the frightening answer. But dangers sweep him into that magical, see-through land. And there, in a fortress filled with castaway children, a two-hundred-year-old riddle lies buried. The most important boy in Echoland will help Will solve it, with a handful of other teens. For the fate of Echoland, and of the Sound realm, depends on the answer. An answer hidden in an ancient book… Deep in a frozen lake of gems… Beyond a buried door… At the foot of the greatest Crystillery of all. But many men and monsters, crystal balls and spying eyes, will try to stop the brave teens. 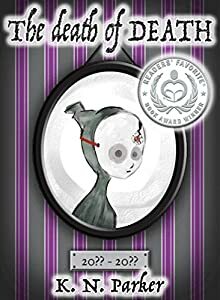 Gold medal winner - 2018 eLit Awards Juvenile/Young Adult Fiction Second Place winning title in the 2016 Royal Dragonfly Book Awards- Middle Grade Fiction. Koolura is no ordinary girl. Neither is her best friend Leila. While visiting Mexico, the girls discover a device which hurtles them back in time to an early Mayan civilization. The Mayans have troubles of their own—the alien Aquari people have all but enslaved them. They need a goddess to set them free. Could Koolura be the one? 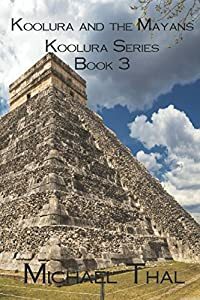 5 star review Reviewed by Arya Fomonyuy for Readers' Favorite Koolura and the Mayans by Michael Thal is the third book in the Koolura series, an exciting story that will take readers on a historic ride back into the old Maya civilization. Koolura and her friend, Leila, are just two young teens visiting Mexico. They stumble on a device that allows them to travel back in time. They are thrust into an early Maya civilization, whose people are enslaved by the Aquari. The people hope for a goddess who could set them free. Could Koolura be this goddess? Although Koolura and the Mayans is written for a pre-teen audience, it was fun to read as an adult. Michael Thal’s characters are awesome and I enjoyed Koolura and Leila, two girls who are smart and very ingenious. They make a great team. Readers will enjoy watching them evolve through the story. The author seems to create a whole new culture around the Maya and the story feels so real, reading about the people and the challenges they face. At the level of style, this book is beautifully accomplished. First off, the reader will notice the gorgeous accessible writing, composed of short and easy-to-understand sentences. The writing also features great descriptions of characters and setting. The descriptive prose creates powerful images in the minds of readers. I enjoyed the well-crafted dialogues which make the characters come to life. Readers will love the adventure, the drama, the conflict, and the entertaining nature of this story. I enjoyed it! My name is Ayrion...and I've been training to fight since I was old enough to walk. My people are the Upaka. It means warrior in the old tongue. To the rest of the world it means...Well, it wouldn't be polite for me to say. As far back as I can remember I've always had one dream - to be the youngest warrior of my clan. My father was a warrior, and his father before him. But if there's one thing I've learned, it's that being the best isn't always a good thing. In a society where the strongest rule, staying on top is a constant battle, one that has put not only my life in danger, but my family's also. How far will I be willing to go to save them. What will I be prepared to lose? In 1503, Leonardo da Vinci was commissioned to paint a young woman's portrait, but he never gave it to her. That woman was Lisa Gherardini, the real Mona Lisa. Now after five hundred years she has come back to get her portrait. 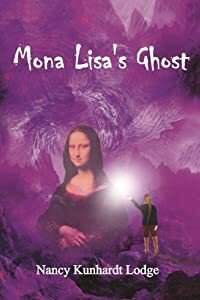 MONA LISA'S GHOST, is a mystery, is the sequel to The Crystal Navigator. One of Lucy's classemates claims to be the reincarnation of Lisa and she is going to steal her painting. When the Mona Lisa vanishes, Lucy and her genius friend Sam solve a mystery that would stun the world if it were ever made public. During a class video about the Mona Lisa, Lucy Nightingale and her best friend, Sam Winter notice that the painting seems to be melting. Sam thinks it has been attacked by a molecule-destroying syndrome called Zoom Seizure. On winter vacation, Lucy and her parents go to Paris where she can investigate. In the Mona Lisa Gallery of the Louvre Museum, Lucy bumps into Melissa Blackwood, a classmate from home. Melissa shocks Lucy telling her that she is the reincarnation of Mona Lisa and that she has come back to steal the painting. That night, the painting is mysteriously stolen and Lucy must find it before Zoom Seizure destroys it. In an adventure that takes Lucy through the ghost-infested Catacombs of Paris, down underground rivers, and back to sixteenth-century France. 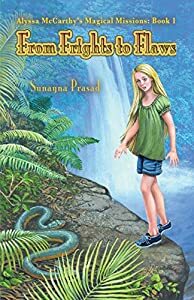 This coming-of-age series is sure to entertain and inspire young readers as Lucy learns to trust her intuition, see herself, others, and the world around her with greater clarity, and to believe in the magic that lies inside every one of us. Winner of the 2017 Readers' Favorite Children's Fantasy/Sci-Fi Bronze Medal!!! People vanishing from the forest without a trace. Reports of large, hairy beasts stalking hikers and campers. Sensationalist news shows blame it all on bigfoots, but J.T. Meeks doesn't believe it. After all, these are the same gentle creatures that befriended him and immersed him in an esoteric world of long-held secrets. He's on a mission to find out the truth, and only hopes he makes it to "Ground Zero" before famed bigfoot hunter, Billy Matrix, arrives. Join J.T. 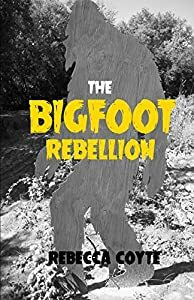 as he traverses time and space, joins up with other colorful characters along the way, and discovers his "gift" as he tries to save the bigfoots--and the world. What would you do if you met Death face to face? Inspired by the works of Tim Burton and Neil Gaiman, and in the style of Children's tales of old, The Death of Death is a tragic, yet sweet little tale about loss and acceptance. "... Amusing, raw, and poignant in perfect balance. A gem of a tale about facing death: wise, wry, and moving." "A sad, yet heartwarming tale of a young girl and her death guide, and the story they share. An interesting tale that will leave you wondering about what happens when we die. I really enjoyed the idea behind this book as it is a question that we all ask at some time in our lives." "The Death of Death by K. N. Parker is a gorgeous fairytale-like story that is equal parts haunting and beautiful... Parker manages to weave this truly dark tale in a tone that can only be described as sweet... The amount of imagery in this book was great, from the description of the guides to the world around them..."
The second book in this series takes you back to a world of magic and painting. 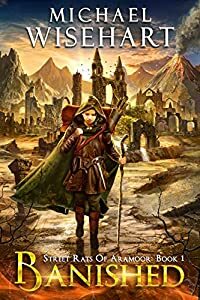 In this new adventure into the parallel world of Magora, twelve-year-old Holly O’Flanigan must find a cure for her dying friend Ileana, a former blood-thirsty Unfinished. With her friends Rufus, Brian, and Amanda in tow, she discovers a surprising truth and solves the mystery of the disappearance of her neighbor Ms. Hubbleworth. At the end of a boring summer in her un-magical hometown, Holly O’Flanigan is eager to return to the parallel world of Magora. Holly’s nosy neighbor, Ms. Hubbleworth, has been missing for a year, and Holly and her friends, Brian, Rufus, and Amanda, know where she is. A year ago, they left the real world together and entered Magora via a painting Holly’s late grandfather created. 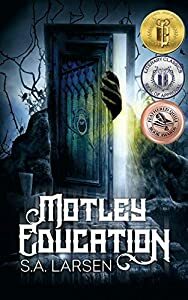 When Holly and her friends head back to Magora to enroll for their second year at Cliffony Academy of the Arts, Holly finds out that her friend Ileana is severely ill. She suffers from a disease that dissolves her blood and turns her back into what she was before—a so-called Unfinished, an incomplete, painted creature that drains the blood of others to become whole. Holly tries to find a cure, but in vain—Ileana’s illness is progressing. While Holly continues to donate blood to keep Ileana stable and the new school year starts, she meets Ms. Hubbleworth again. Surprisingly, her nosy neighbor has no knowledge of her old life back in the real world and seems fully immersed in her position as a teacher at the art academy. 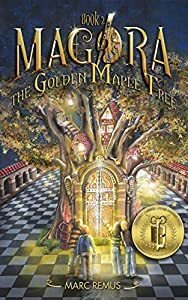 When Holly learns that the leaves of a mysterious Golden Maple Tree could cure Ileana’s illness, she begins her search for the tree and discovers an ancient monastery where the dangerous blood-sucking Unfinished live. But Holly’s best friend Rufus is kidnapped and taken to the monastery. With her other friends in tow, Holly enters into a fierce battle against the Unfinished to free Rufus and collect the leaves of the Golden Maple Tree to cure Ileana. In the process, Holly learns the truth behind Ms. Hubbleworth’s memory loss—changing everything Holly thought she knew about Magora. When Marjorie went to live with her frosty maiden aunt, she couldn’t imagine the adventures she would have with dragons — good and bad — and all the strange creatures that live in a mysterious land beneath the Tarn. The spunky 9-year-old redhead forges an unlikely friendship with an insecure young boy named Rufus who lives with his crusty grandfather next door. 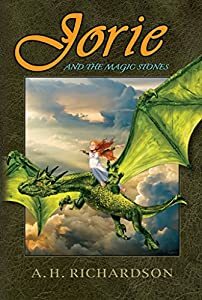 When Jorie — for that is what she prefers to be called — finds a dusty ancient book about dragons, she learns four strange words that will send the two of them into a mysterious land beneath the Tarn, riddled with enchantment and danger. Hungry for adventure, the children take the plunge, quite literally, and find themselves in the magic land of Cabrynthius. Jorie must rely on her wits and courage to win the day? Can she do this? Can she find all three Stones? Can she save Rufus when disaster befalls him? Can she emerge victorious? She and Rufus have some hair-raising challenges, in which they learn valuable lessons about loyalty, bravery, and friendship.